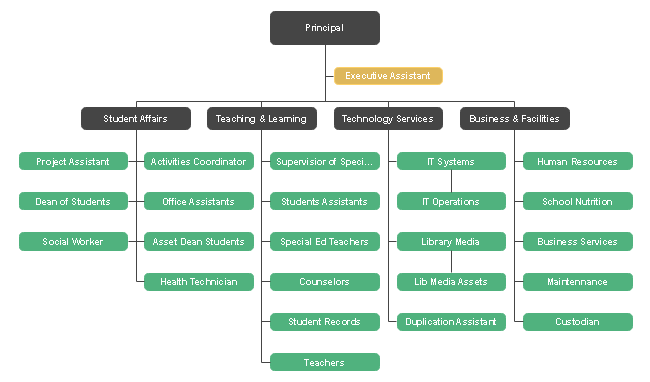 Description: The high school structure org chart template displays the organization of a traditional high school. Using this template to promote management of a high school. Add more subordinate departments with OrgCharting to make the organizational chart complete.